We recently had a nasty memory leak after deploying a new version of a project I’m involved in. The new version contained 4 months of changes compared to the previous version and because so many things had changed it was not obvious what caused the problem. We tried to go through all the changes using code compare tools (Code Compare is a good one) but could not find anything suspicious. It took us about a week to finally track down the problem and in this post I’ll write down a few tips that we found helpful. The next time I’m having a difficult memory problem I know where to look, and even if this post is a bit unstructured I hope it contains something useful for other people as well. The first few days we were convinced that we had made a logical error or had made some mistakes in I/O access. We also suspected that our caching solutions had gone bad, but it was hard to be sure. We used Dynatrace to get .Net memory dumps from other environments than our production environment which has zero downtime requirements. 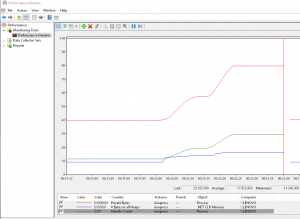 We also used a memory profiler (dotMemory) to see if we could see any trends in memory usage one local dev machines with a crawler running, but nothing conclusive could be found. 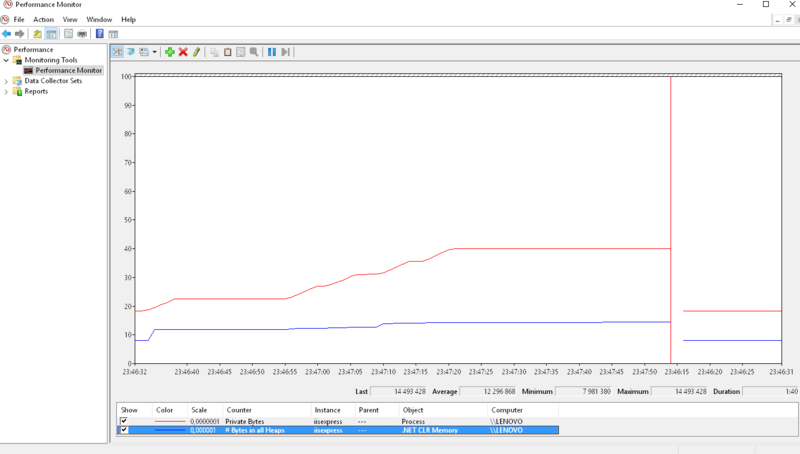 Total memory usage (red line) is increasing but the .Net memory heap allocations (blue) are not. 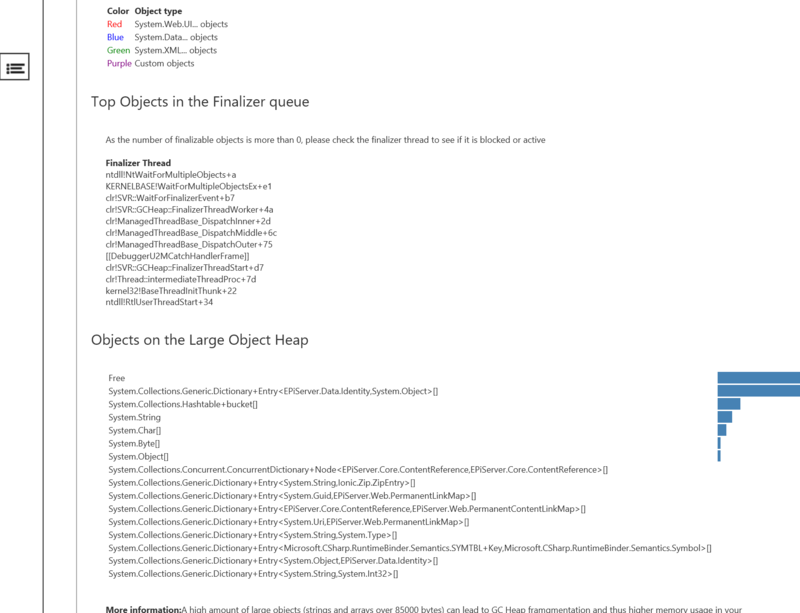 This means that it’s native memory that gets leaked and we could rule out our caching and other .Net object allocations. So we now knew it was native memory that was consumed, but not what kind of memory. 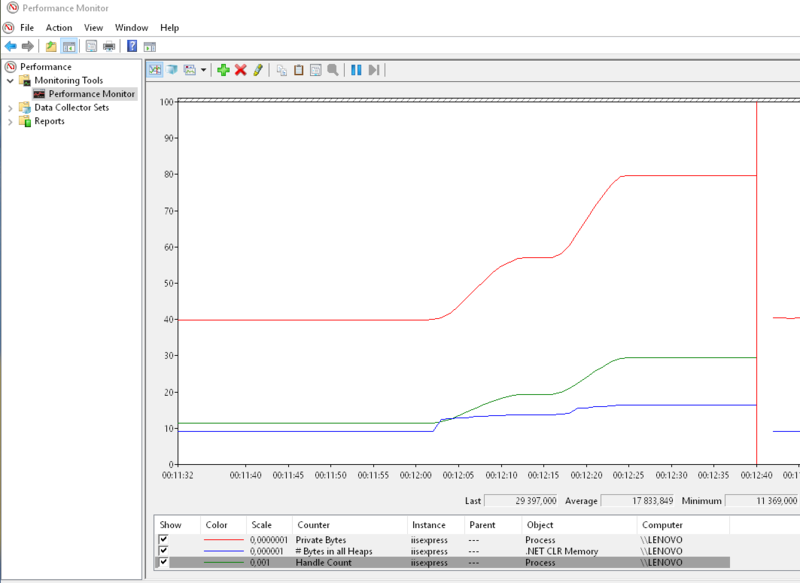 The handle count (green) followed the increased memory usage very closely. By clicking on a counter in the legend we could see that the number of active handles increased to completely absurd levels, a few hours after an app pool recycle we had 2-300 000 active handles which definitely indicates a serious problem. What type of handles are created? 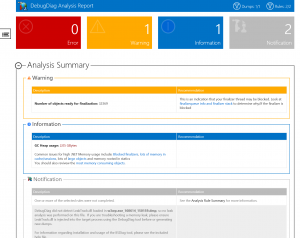 PS C:\utils\Handle> .\Handle.exe -p 13724 -s | select-string "event|semaphore"
At this point we had a look again at the code changes made during the 4 months but could still not see what could be causing the problems. There was a new XML file that was accesses but that code used an existing code pattern we had and since we were looking at Event and Semaphore handles it did not seem related. 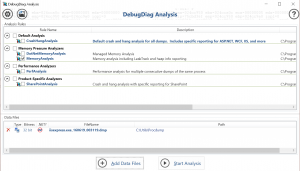 [00:31:20] Dump 1 writing: Estimated dump file size is 964 MB. The -r option results in that a clone of the process being dumped is created so that the dump can be taken without bringing the site to a halt. 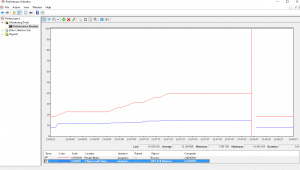 We monitored the number of requests per second during the dump file creation using the ASP.NET Applications / Requests/Sec performance counter and it was not affected at all. 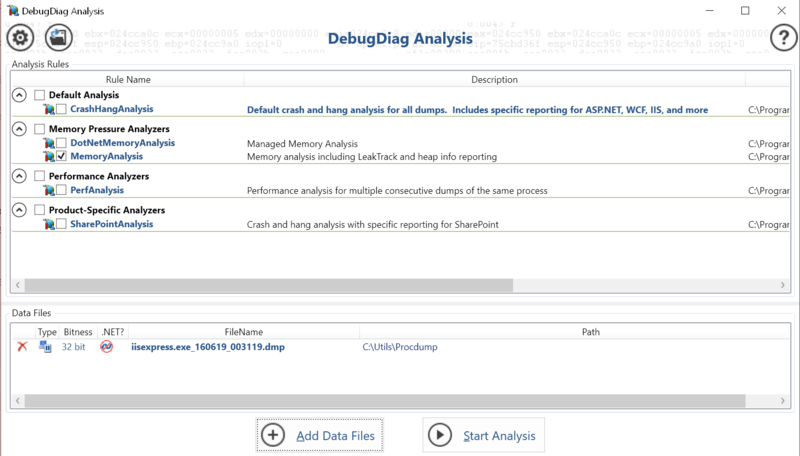 Using the memory analysis function on a dump file. 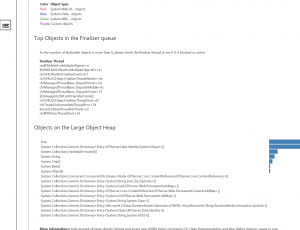 The report showed a warning about the finalize queue being very long but that did not explain very much to us, except that something was wrong with deallocating some types of objects. There was just one warning after the memory analysis of the dump, that there were a lot of object that were not finalized. The most frequent type of object in the queue is undeniably related to our Event and Semaphore handles. If you use any of the other constructors, multiple versions of the same assembly are generated and never unloaded, which results in a memory leak and poor performance. Using handle.exe it was easy to verify on the developer machines that the XmlSerializerFactory actually solved the problem since the Semaphore handle count now remained constant after page views. If we only had had the memory graphs to go by, it would have taken much longer to verify the non-growing memory trend since the total memory allocations always fluctuates during execution.